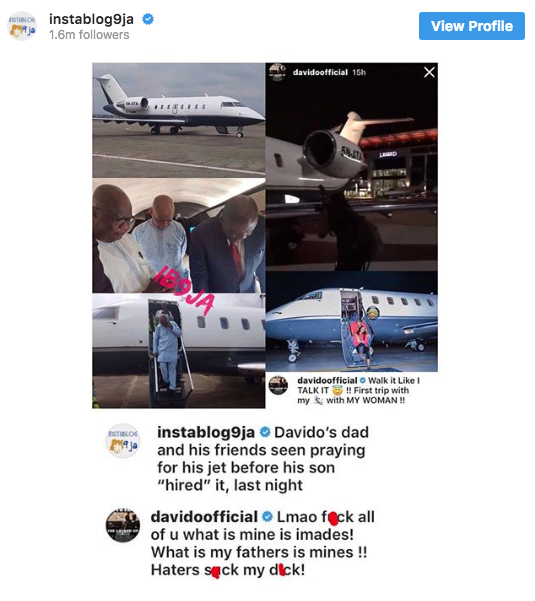 Africa’s biggest artiste, Davido has finally succumbed to pressure after he went sharing videos and pictures of his new private jet which he initially said was bought by him but later confessed via the comment section on popular Nigerian Instagram account, Instablog9ja post that the private was for bought by his father. 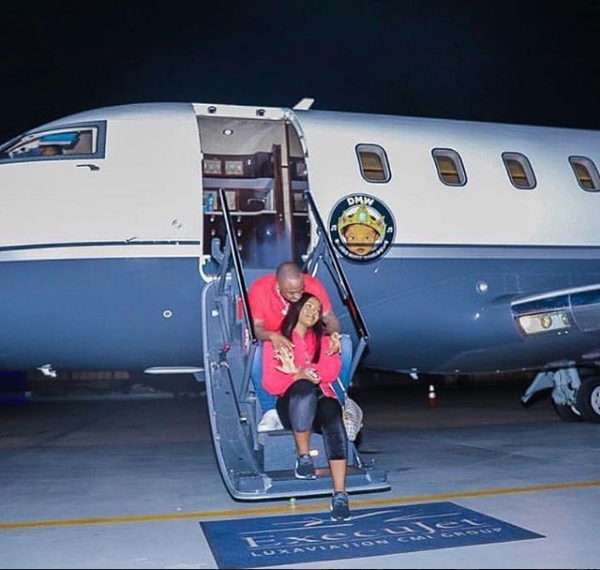 There have been a lot of controversies surrounding the ownership of the new private jet acquired by Davido because of the hire cost of maintaining it. 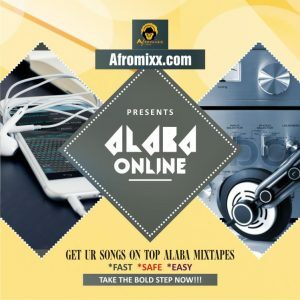 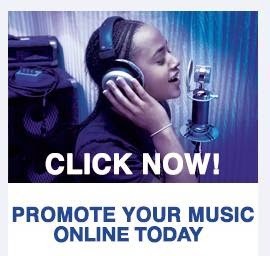 But now it seems the controversies have been put to rest after yesterday’s revelation by Davido.